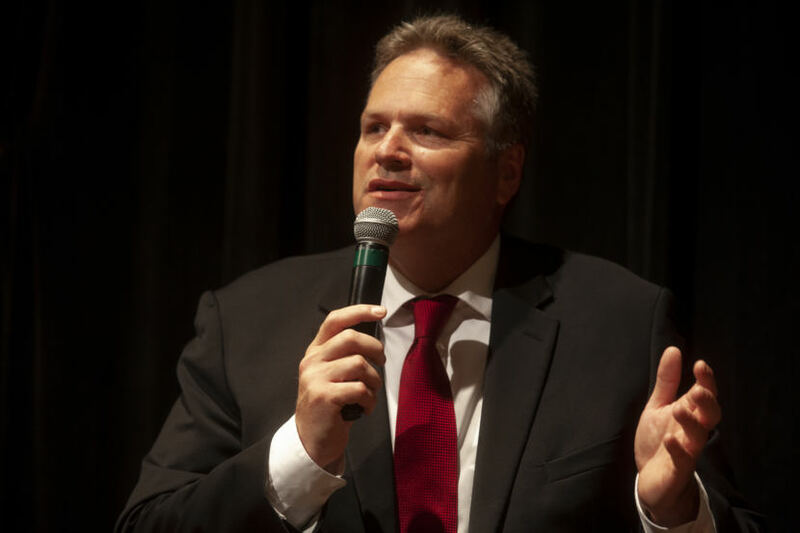 As Gov.-elect Mike Dunleavy prepares to take office on Dec. 3, there are still a lot of unknowns about how he’ll approach his campaign priorities — a big one being education. What a Dunleavy administration might do on the issue of public education is a big question looming over rural schools across the state. On Tuesday, the governor-elect’s transition team responded to a request for comment on rural school funding with a “no comment” for the time being. Dunleavy and his transition staff are “busy at the moment,” slowly unveiling the incoming administration’s priorities and Cabinet appointees. A member of the Dunleavy transition team, Sarah Erkmann Ward, said in an email to KYUK that, “Education is one of the governor-elect’s passions, and all Alaskans will hear more about his ideas for improving outcomes soon.” For now, KYUK’s questions don’t have answers. A former rural educator, Dunleavy hasn’t been specific about what steps he’d take or the changes he’d like to see for state-funded schools. As reported by KTOO and Alaska Public Media reporter Andrew Kitchenman, during Dunleavy’s time in the state Senate he supported cutting state funding to prekindergarten education, supported a proposed constitutional amendment allowing state money to go to private education, and has campaigned on wanting rural areas to have access to regional schools in hub communities while somehow not taking away from village schools. According to unofficial election results, rural Alaska and most of the Yukon-Kuskokwim Delta voted Democratic on Election Day, with 67 percent of the vote in Bethel going to Begich. The Lower Kuskokwim School District is the largest school district in the Y-K Delta and its budget, like all Regional Educational Attendance Area, or REAA, schools, relies wholly on state funding. The Legislature forward-funded education for the next two years, with a boost of $20 million for fiscal year 2019, and $30 million for fiscal year 2020, which LKSD says has helped keep up with staffing and fuel costs. But come 2021, it will be a big concern for the district if the Legislature does not take action to avoid another flat funding year. When funding has remained static in the past, the district has had to cut funds for staff positions and increase the student-to-teacher ratio. Last month, when outgoing state Education Commissioner Dr. Michael Johnson visited the LKSD board, he made it clear that he likes the direction their district is currently taking. “I also very much like your mission statement and how you tie culture to the work that’s happening in your schools, and that’s something I think every school board in the state wants to happen,” said Johnson. Johnson pointed to the use of Yup’ik language in the classroom and a strategic thinking model that the district is using. The state Board of Education prioritizes every student being proficient in reading by the end of third grade. For the Walker administration, that has meant proficiency not just in the English language. Johnson hoped that the LKSD model will spread to other districts. As for the next administration, their stance on the issue has yet to be determined. Gov.-elect Mike Dunleavy will take office on Dec. 3.